DWOS™ Partial Frameworks application provides intuitive design tools that transfer a dental technician’s know-how into a digital environment. End results are simply amazing. Highly accurate partial frameworks are designed in less than 10 minutes, ensuring significant savings in both time and materials. 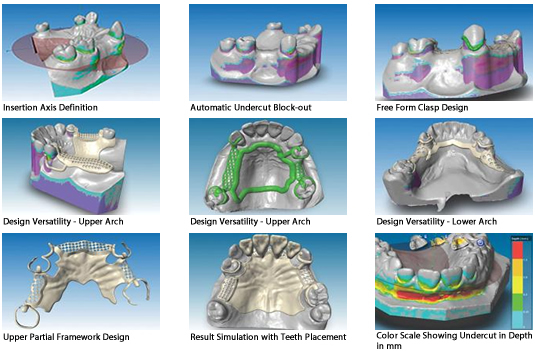 The Partial Frameworks and the Crown & Bridge applications are designed for total integration, ushering in a new era of combined prosthesis design with digital data exchanges and attachment axes management. The integration between the two modules allows the technician to combine the simultaneous design of the removable and fixed restoration with ease.